We all know today's HD camcorders and DSLRs feed on gigs like there's no tomorrow. Memory cards are growing every year and at the same time they're getting cheaper too. 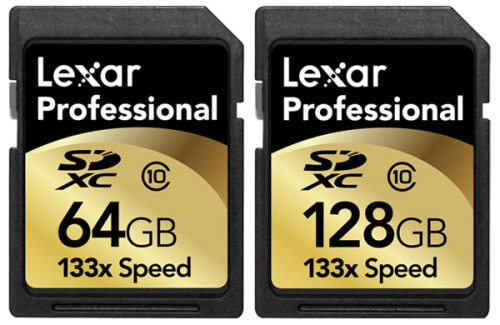 Lexar is now shipping some serious storage with their new 128GB and 64GB SDXC class 10 memory cards priced at $330 and $200, respectively. You can now order yours from Lexar or your favorite online photo-shop like B&H and Adorama.